Lego has been a favorite building toy for aspiring architects, curious children and even adults who love the whimsy and possibility it offers. The LEGO headquarters have always been beautiful reflections of the LEGO philosophy of playfulness and wonder. 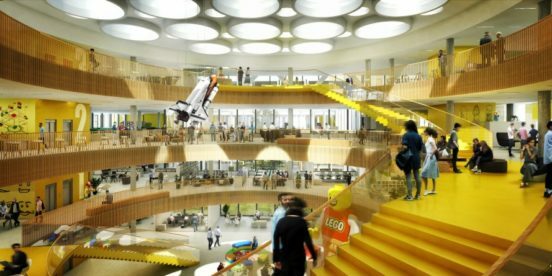 LEGO announced their new headquarters in Billlund, Denmark in 2016 and it’s planned to be a collaborative workspace that celebrates the brand. 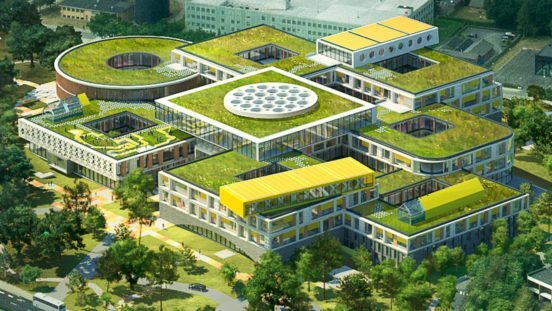 Plans for the headqurarters, known as “LEGO Campus” were announced in July 2016, and the company broke ground in February 2016. Construction is estimated to take about 4 years, with the employees slated to move in 2019. Measuring 52,000 square meters or 560,000 square feet, the entire design will draw inspiration from LEGO. One core part of the LEGO Campus is the LEGO People House, an area for employees. The employees have will have input on the design, and it will be a “global gathering point” for all LEGO employees from around the world. The House is meant to be a social center outside and during the working hours, with an “informal” and “inspirational” atmosphere, according to Claus Flyger Pejstrup. You’ll see LEGO motifs throughout the design, with skylights designed to mimic the holes of a LEGO block and panels reflecting the same. Yellow, the LEGO corporate color, will be used throughout the design as well. This is only one cool project LEGO has created, however. The recently-opened LEGO House in Billiund is also getting rave reviews. 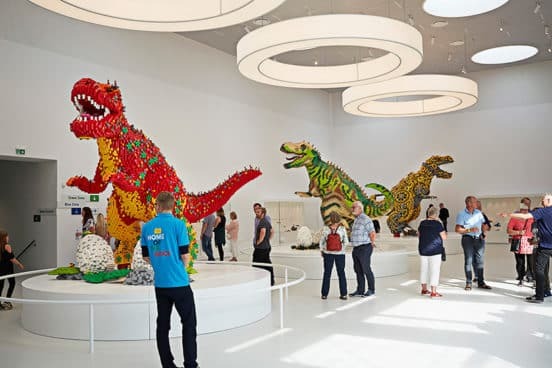 The LEGO House is a 12,000 square meter (130,000 square foot) filled with LEGO bricks for the ultimate LEGO experience. LEGO House has been in the works for over 7 years and was constructed on the site of the city’s old town hall. Even the design of the exterior mimics LEGO construction, with stub blocks on the building’s top and more. 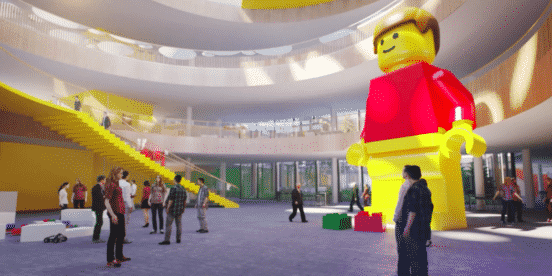 Inside, the design and exhibits invite visitors to explore the world of play, with interactive exhibits, and LEGO bricks as far as the eye can see. There are four color-coded zones, each with a specific theme, throughout the house. Red is for creativity, blue is for logic, yellow for empathy, and green for social skills. Outside, children can romp on one of 9 playgrounds. 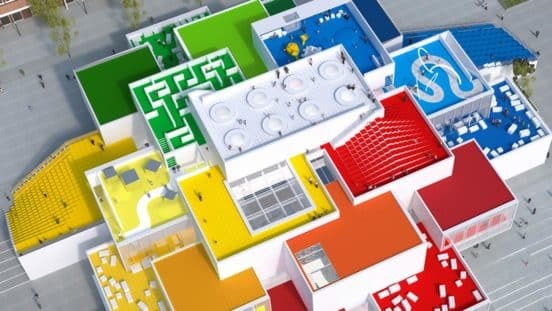 One look at the design of LEGO House, and you can see the possibilities of the upcoming headquarters. These are only renderings, but it’s likely to be one of the most innovative spaces in Denmark.